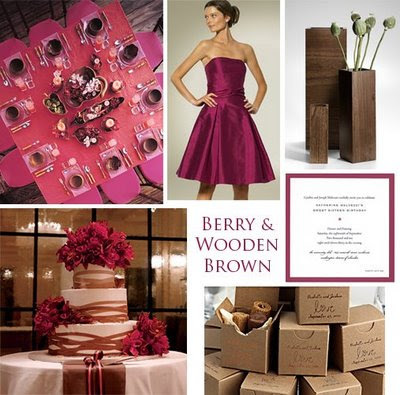 I'm swooning over this berry pink and wooden brown inspiration board by Tastefully Entertaining. The prettiness of pink and handsome hues of wood of look fabulous together in an unexpected way. Of course, I may be a little partial as I am loving the invitation she selected!